Vanderbilt University Medical Center (VUMC) is the first hospital system in the nation to receive the Association for Professionals in Infection Control and Epidemiology (APIC) Program of Distinction designation, an acknowledgement of excellence for infection prevention and control programs that meet stringent standards established by the association. The designation is the culmination of an intensive review process that began last summer when an APIC survey team visited VUMC to evaluate infection prevention practices at Vanderbilt University Adult Hospital and Monroe Carell Jr. Children’s Hospital at Vanderbilt as well as numerous off-site locations. APIC is the leading professional association for infection preventionists (IPs) in the United States, with more than 15,000 members. APIC’s Program of Distinction designation measures excellence in infection prevention policies and procedures and ongoing quality improvement efforts, as well as compliance with federal regulations. 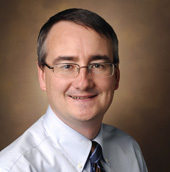 “We’re honored to be the first institution in the country to receive this designation,” said Thomas Talbot, MD, MPH, professor of Medicine and Chief Hospital Epidemiologist at VUMC. “One of the big things the surveyors cited was that it is not just the Infection Prevention team that contributed to the effectiveness of our infection prevention programs. During the review process, the Infection Prevention team provided data on VUMC’s healthcare-associated infection (HAI) rates, and across the board the numbers were positive, Talbot said. For example, from 2009 to 2017 (estimated with six months of data in 2017), central line associated blood stream infections (CLABSI) in the intensive care units (ICU) were reduced by 79 percent, and non-ICU CLABSIs were reduced by 71 percent. From 2010 until 2017, there was an estimated 61 percent increase in the healthcare worker influenza vaccination rate. From 2009 until 2017, there was an estimated 81 percent increase in hand-hygiene compliance. APIC surveyors visited VUMC in 2016 to observe specific infection control and epidemiology initiatives. They focused on many areas, including disinfection/sterilization, emergency preparedness, occupational health and antibiotic stewardship. The APIC team observed and spoke with front line clinicians, as well as Infection Prevention team members and visited clinical, procedural and support services areas, said Director of Infection Prevention Vicki Brinsko, MSN, RN. In 2014, the Centers for Disease Control and Prevention (CDC) released results from its Healthcare-associated Infection (HAI) Prevalence Survey. On any given day, one in 25 hospital patients has at least one HAI. In 2011, there were an estimated 722,000 HAIs in U.S acute care hospitals each year, and about 75,000 hospital patients with HAIs died during their hospitalizations. 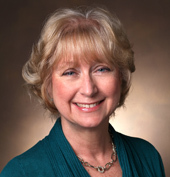 The APIC Program of Distinction designation has been awarded to VUMC for a three-year period. At the end of that time, the Medical Center can repeat the review process. At VUMC, the Department of Infection Prevention includes six epidemiologists, eight infection preventionists, and a data analytics team. The VUMC Infection Prevention Regulatory Subcommittee and the Infection Prevention Executive Committee, which include representatives from throughout the Medical Center, meet bimonthly to evaluate policies, review current infection prevention programs and HAI-prevention performance, and discuss current infection prevention concerns. Leapfrog names Children’s Hospital among top 10 in U.S.